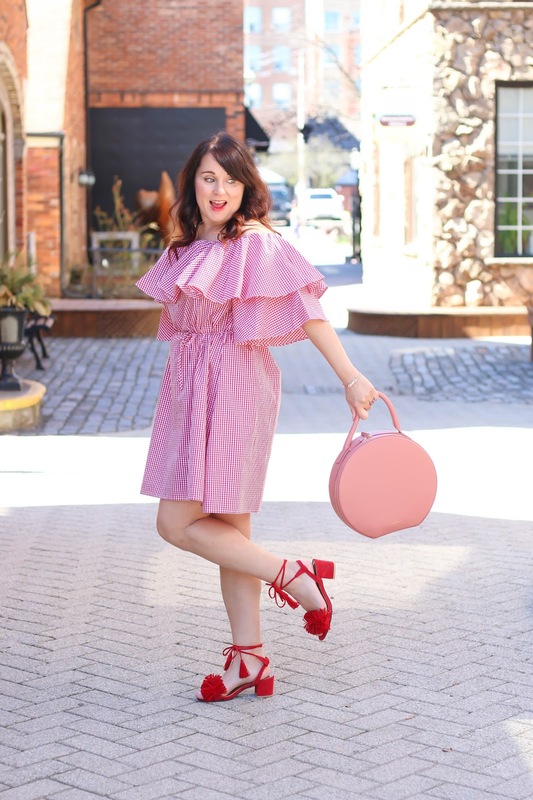 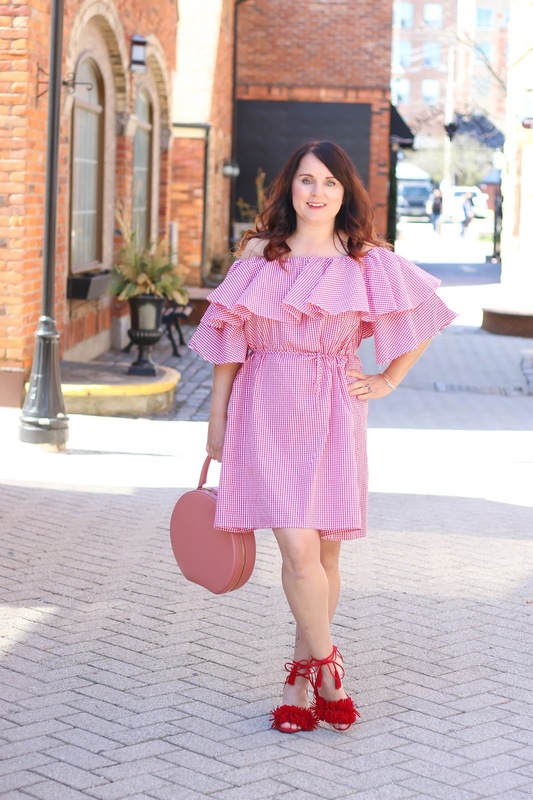 So this off the shoulder trend doesn't seem to be going anywhere anytime soon, so let's get back to it today! 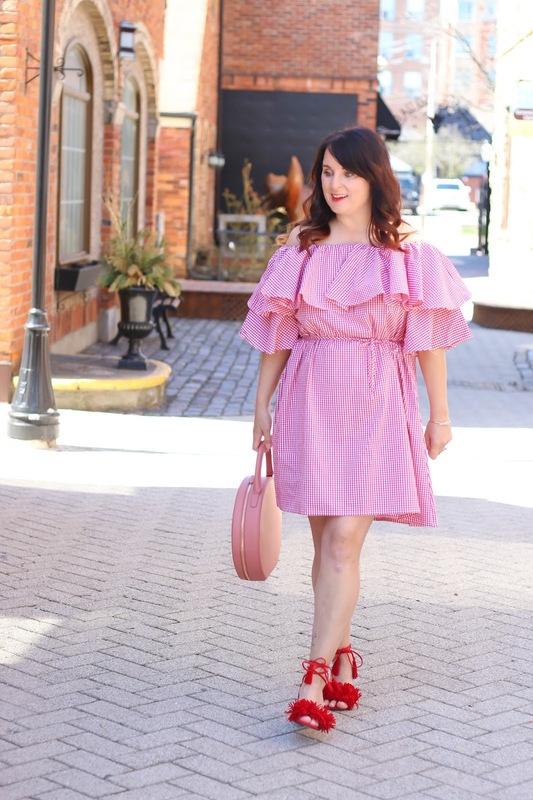 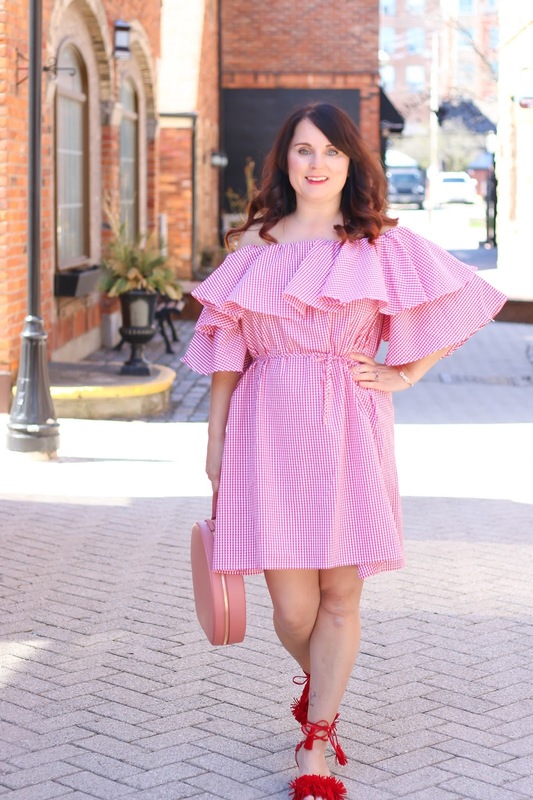 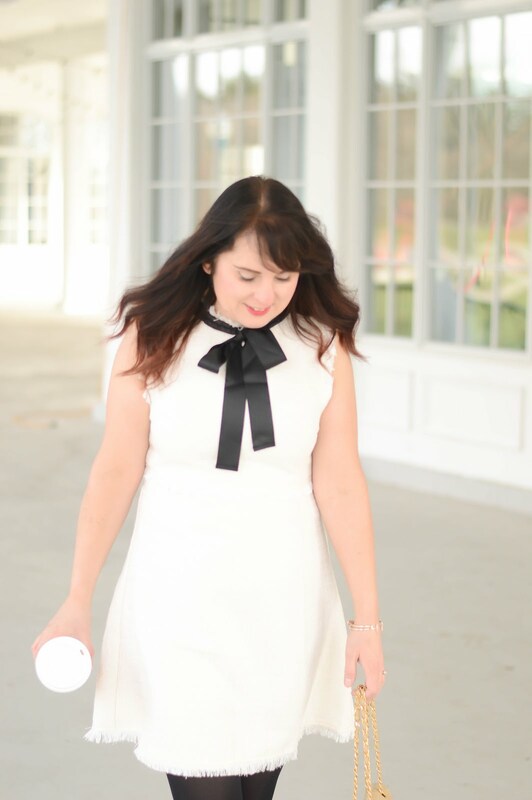 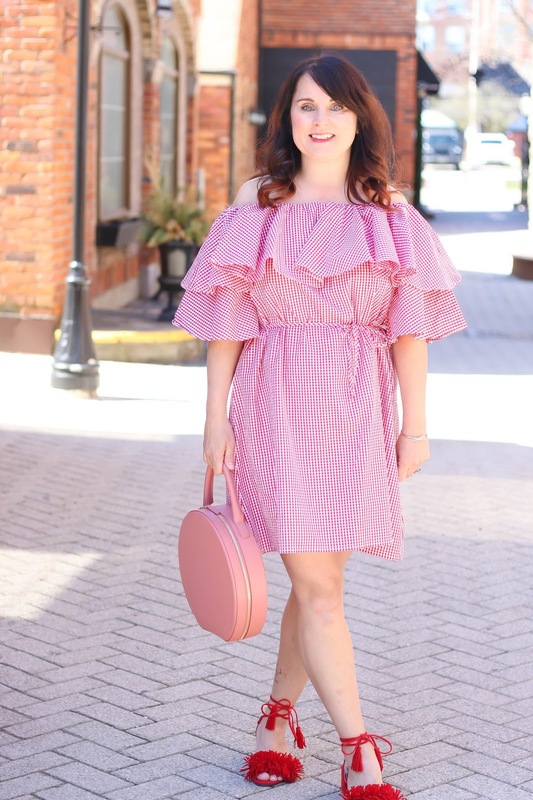 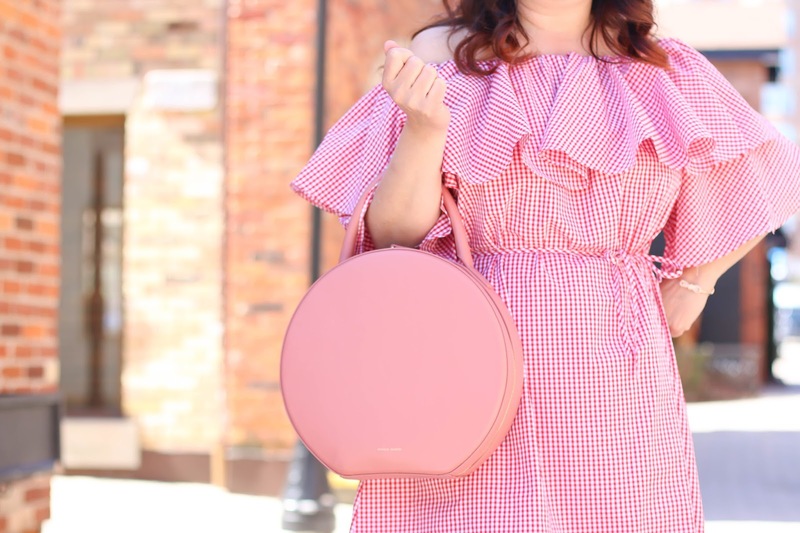 This ruffle gingham dress is perfect for spring! 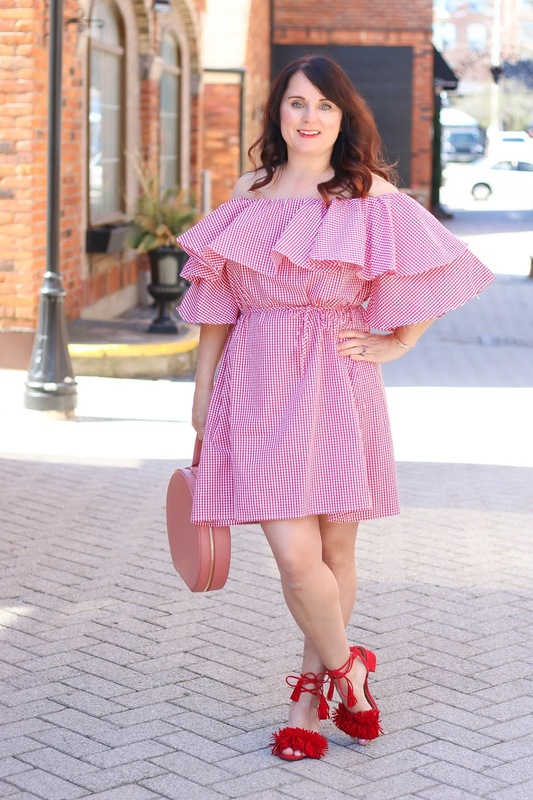 It's such a fun piece to wear, has lots of room, and looks cute with heels or casual flats/sandals.